Jens Voigt is a German former professional road bicycle racer for several teams, the last one being UCI ProTeam Trek Factory Racing. Jens wore the yellow jersey of the Tour de France twice. His career achievements include winning the Critérium International a record-tying 5 times and a number of one-week stage races, as well as two Tour de France stage victories. In September 2014, he set a new hour record. Jens is know for his catch phrase, Shut Up Legs! He is one of the most loved cyclists of all time, being friendly, charismatic and generous as well as being incredibly talented. He retired at the end of 2014. Jens Voigt has been a guest on 1 episode. Episode 4: Say hello to the legend - Jens Voigt! 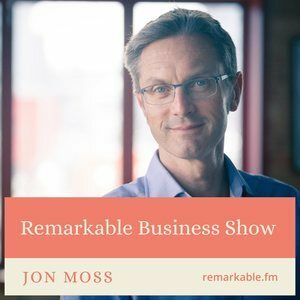 Episode 4 of The Remarkable Business Show! 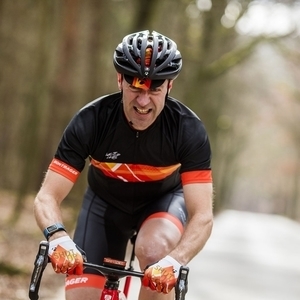 I talk with Jens Voigt, the legendary cyclist who famously said, "Shut up legs!". He's a German former professional pro-cyclist whose last team was Trek Factory Racing. Jens gives us a fascinating insight into the business of cycling, the technology, how bikes will change in the next few years plus many great stories. An unmissable episode!